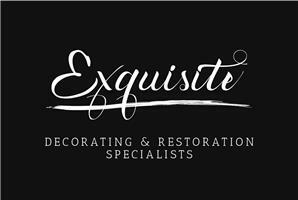 Exquisite Restorations - Painter/Decorator based in Stevenage, Hertfordshire. Our combination of fine craftsmanship, decades of experience and understanding of the state of the art in all things paint and wallpaper related means we always have the very best solutions ready for you. And we see it as nothing less than our sworn duty to make your entire home look absolutely glorious from top to bottom. From a single room, to a bespoke one-off new development or even a full house refurbishment, we pay incredible attention to detail and treat your property with the respect in fully deserves. It’s a policy that has worked handsomely for many years now and sees many of our best clients call us year after year to decorate. And even to request the same decorators! Fortunately our team has held together for many years now and we can almost always send the same cheerful professional back to work. An unusual boast in this industry. By hiring Exquisite Restorations you get to enjoy the thrill of a beautiful room without the pain of having to carry out the painting. And as even the most flamboyant of interior designers will tell you, getting the right decorating company is fundamental in achieving a high class finish. We work very, very hard for you. We do so because we understand that a world class finish demands proper attention to detail and the fortitude to always, always keep going until perfection is achieved. We finish our work to a standard that will delight you and make you appreciate the thoroughness of our efforts for many years after our lads and lasses have completed their mission. And of that we hope you’ll accept our wholehearted guarantee.